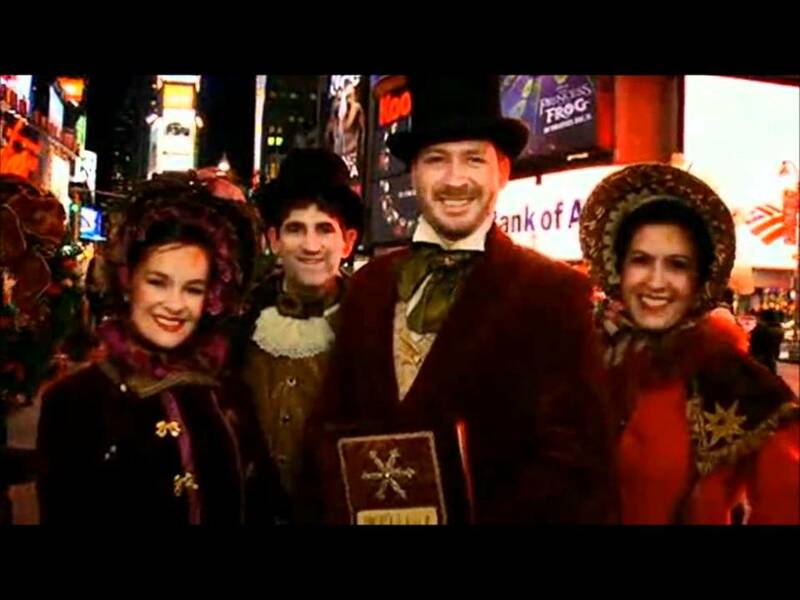 The Yuletide Carolers are a Nationally known company of Professional Singers ranging from Broadway to Opera houses. We are often featured on TV and cater to high profile parties and events all across the Denver Colorado area. Entertaining folks everywhere! Our clients include Girardelli, Nordstrom, Macy's Herald Sq., The Ritz Carleton, Late Show with David Letterman, The View, Conan O'Brien! Sally and her team were a great addition to our Santa's Arrival Event. They communicated well with me leading up to the event and showed up on time. 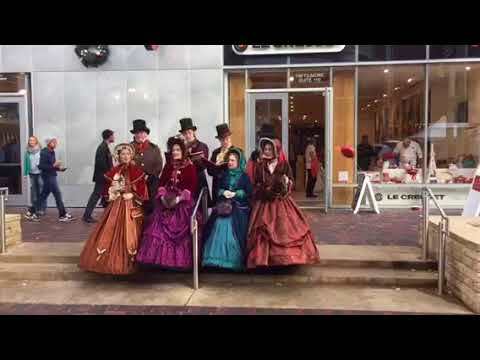 They were able to handle the crowds well while waiting for the arrival in front of the building and we received many compliments from customers on their performance and the amazing costumes! Thank you for helping make this event special for our customers! Thank you for this review, Jake. We are so happy that you were pleased with our performance. That brings joy to us, and is why we do it. Congratulations again on a successful event, and cheers to the rest of the holiday season! 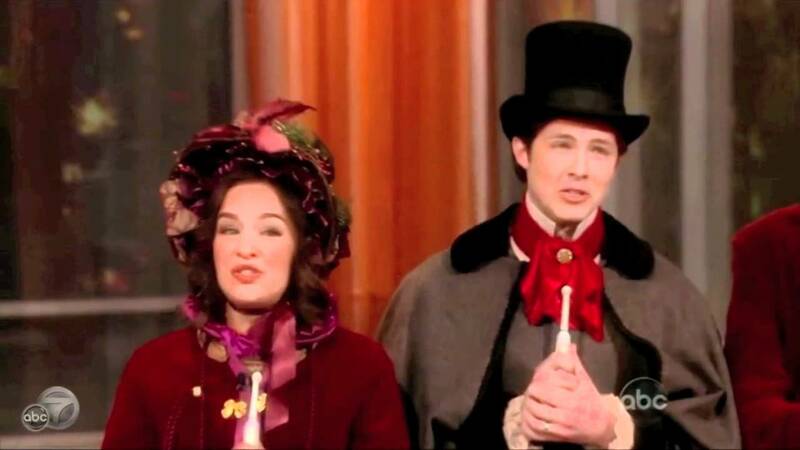 The Yuletide Carolers were such talented group of singers. They spread joy and Christmas cheers all around. 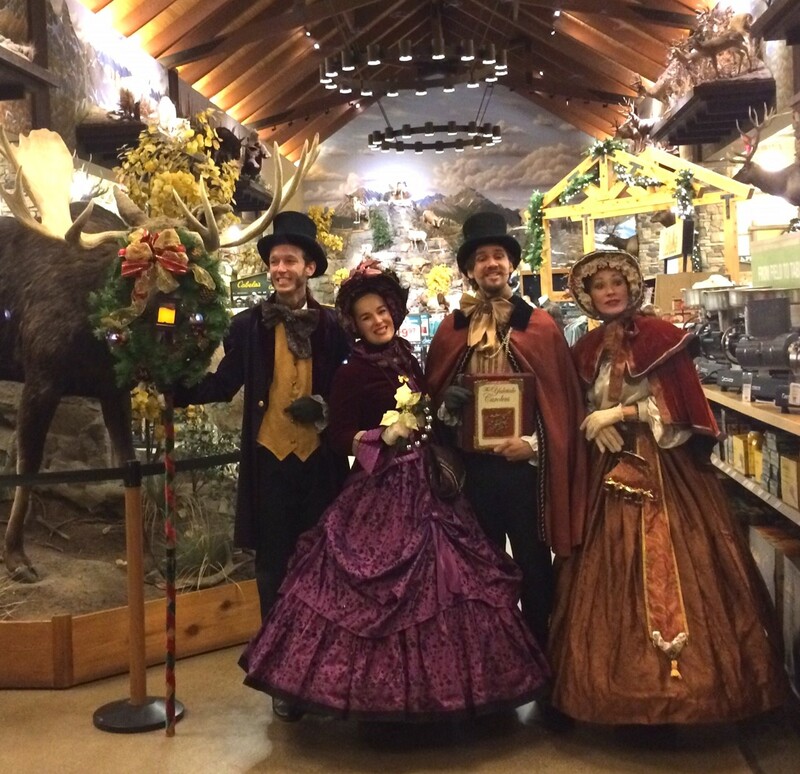 Children and adults enjoyed singing along as they caroled through the night. Oh, and the costumes...they were absolutely GORGEOUS!!! We are certainly having them entertain us every Christmas. What a treat!!! with all we hold so dear. There will be carolers and Santa this year. by singing loud for all to hear!!! Thank you Diana! It makes us so happy to hear that you and your guests enjoyed us. Thank you for having us perform at your beautiful holiday party. It was our pleasure, and we would love to bring holiday cheer to your party every Christmas! Until then, we wish you a Merry Christmas and a Happy New Year! 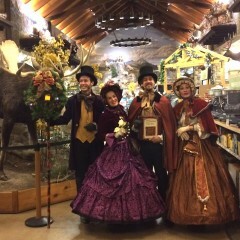 Sally and the Yuletide Carolers were so easy to book with and extremely accommodating of our ever-changing requests. Their response time to inquiries or requests was less than 10 minutes and their fees are very reasonable. 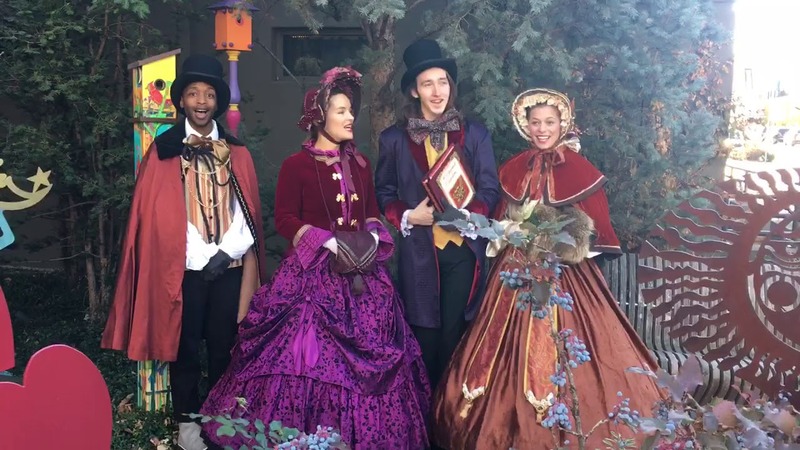 We partnered with the Yuletide Carolers for a corporate holiday event and our attendees were very impressed with the quality of the group as well as the beautiful attire that they wore. I would highly recommend this group for your next event! 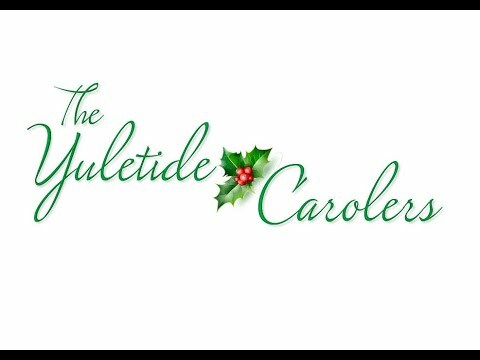 The Yuletide Carolers entered a room full of experienced musicians and musical directors and wow'd every single one of us. We stopped in our tracks to watch, listen and enjoy them. They sang every single one of our favorite songs and were the perfect touch to a wonderful evening. I had no idea for sure what to expect, knowing our crowd are good critics and the evening was perfect in every possible way. Thanks so much! Stage/Setup Requirements Edit A dressing room that can be locked, with ample room for four people to change clothes and leave their personal belongings. Bathrooms should be accessible.